Clinical studies show that many species of mushrooms support the body’s immune system, in one way or another. 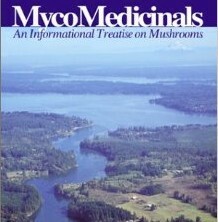 Each mushroom species has its own unique chemistry and individualized therapeutic properties. Many mushroom species fight foreign invaders through antibacterial, anti-Candida and/or antiviral properties. Many species have compounds that can modulate the immune system. Others are antagonistic to specific cancers like breast cancer, leukemia, lung cancer, prostate cancer, colorectal cancer, to name a few. I have attended many integrative health conferences and interacted with representatives of many supplement companies, however, medicinal mushrooms seemed too weird for me, so I put off investigating them. I also felt validated that medicinal mushrooms are becoming more mainstream when my friend’s exceptionally trained veterinary oncologist shared promising research on mushrooms and dogs with a particular aggressive cancer that her dog had. The vet’s holistic approach included a mushroom supplement that complements the dog’s regular chemotherapy treatments. Agarikon, Amadou, Artist’s Conk, Birch Polypore, Chaga, Cordyceps, Enokitake, Lion’s Mane, Maitake, Mesima, Oregon Reishi, Reishi, Royal Sun Blazei, Shiitake, Split Gill Polypore, Turkey Tails, and Zhu Ling. Click for more information on mushrooms and their compounds that support immunity.